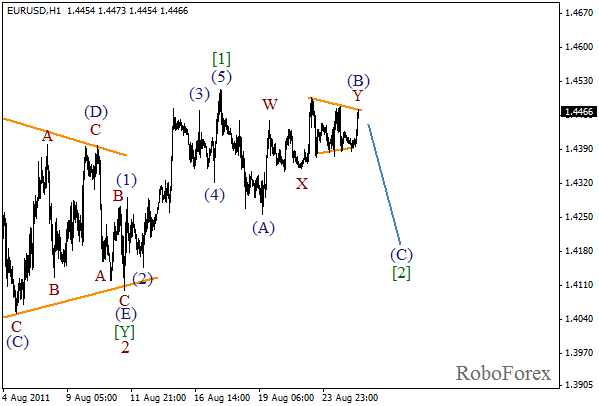 The formation of zigzag pattern in wave (4) continues. It looks like bulls made their best efforts in wave A, so they will probably not be able to do anything to resist bears in wave C. Currently the price is growing very slowly and reluctantly. Most likely, wave 1 of (5) will start within the next several days. At the H1 chart we can see horizontal triangle, which leads us to a conclusion that it’s a zigzag pattern, the correction in other words, but not the start of a rising impulse. 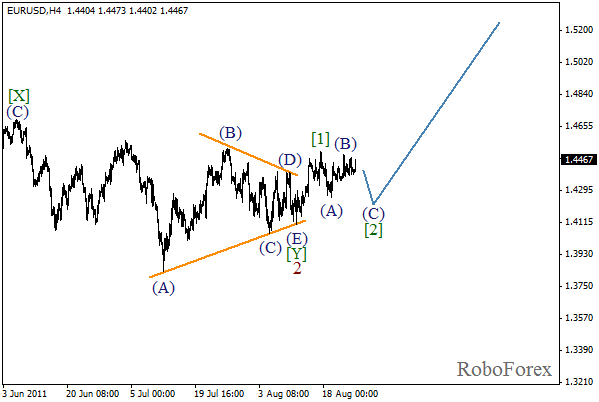 The price needs one more strong rising move to complete wave C of (4). After completing double three pattern in wave 2, the price has formed a rising impulse. 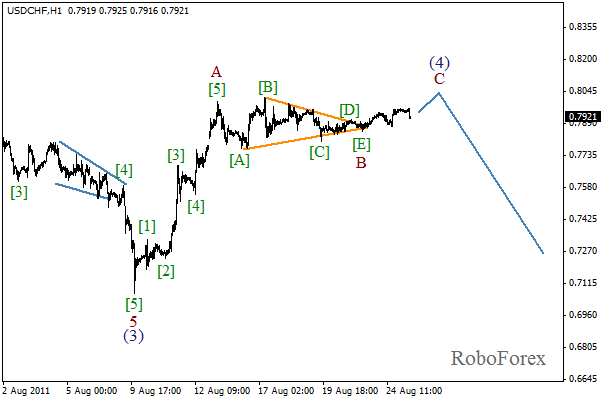 At the moment we can see the formation of wave , which is taking the form of zigzag pattern. In the near term, the correction may continue, and after that we can expect the price to start growing again. We may assume that wave (B) is taking the form of double three pattern with wave Y inside it, which, in its turn, is in the form of horizontal triangle. 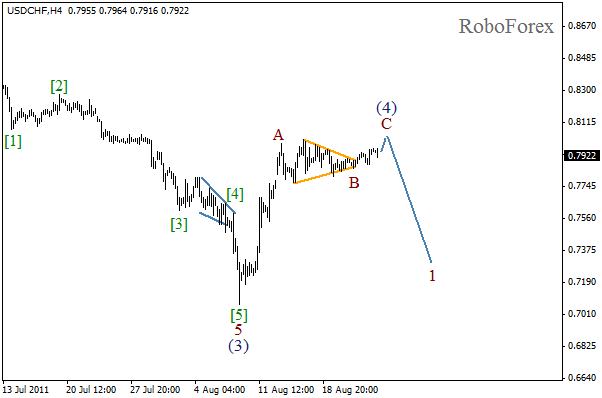 The price may start falling down while forming wave (C) of  during the day. However, the main forecast remains bullish.